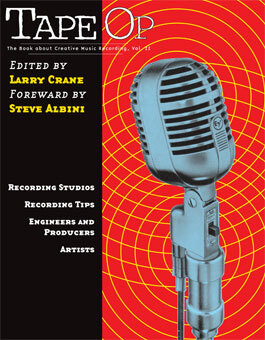 In issue #12 Larry Crane and Chris Eckman interviewed Phill Brown, a producer/engineer with credits like Mott the Hoople, David Bowie, Sly Stone, Led Zeppelin, Jeff Beck, Robert Palmer, Bob Marley & The Wailers, Steve Winwood, Harry Nilsson, John Martyn, Roxy Music, Talk Talk, Throwing Muses and Dido. Shortly after that he allowed Tape Op to run a series of excerpts (issues 16 to 32) from his unpublished book, Are We Still Rolling? After waiting over seven years for a publisher to step forward and release this fine book, Tape Op Books decided to take the job on. 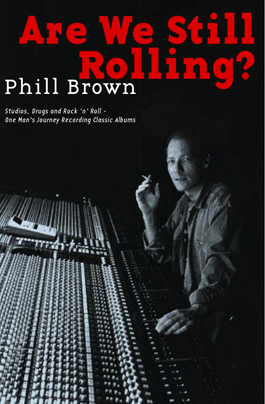 An amazing story, this is one of the finest memoirs of classic studio sessions one will ever read, with Phill's own personal story setting an arc across the music of the '60s to the current day. A must read for fans of music, studio rats or anyone curious about the changing culture of the music world. www.phillbrown.net for more info. 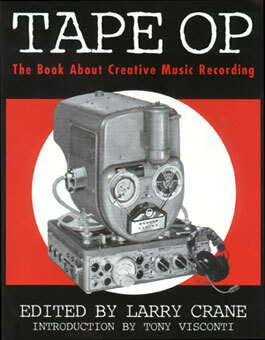 The newest Tape Op book collects interviews and articles from issues 11 through 20 of Tape Op Magazine. This book covers creative music recording — from the world's most famous studios to musicians creating masterpieces in their bedrooms. Many of the faces from behind the scenes (and sometimes in front) who create some of the most important albums of our times appear here. Creativity, technique, equipment, passion and learning collide. 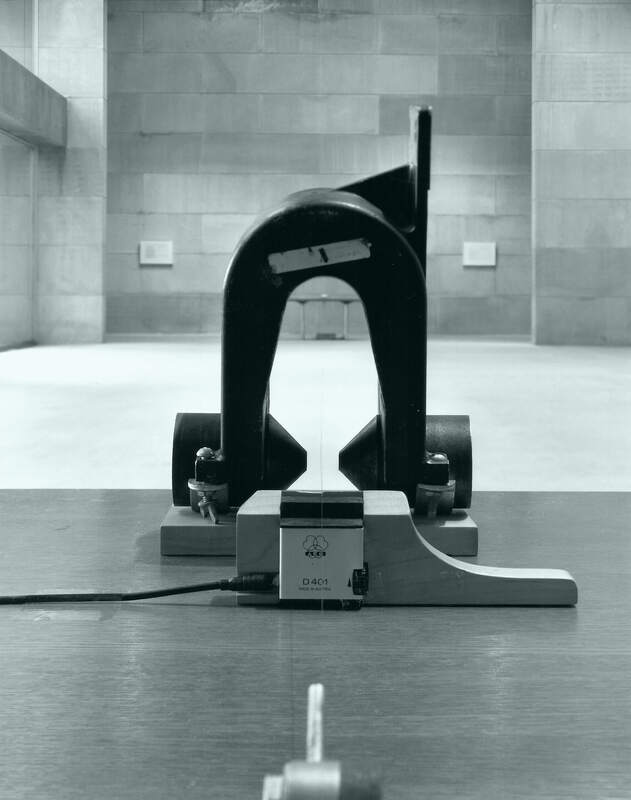 Our first volume is compiled from articles featured in Tape Op magazine along with features that were done explicitly for this book or culled from our archives. The majority of the articles were in issues 1 -10 (1996-1998) but several are from 11-14 (1999).